Computers, no matter what kind you prefer to use, have become an integral part of not only business but our daily lives. Still, no matter how much technology advances nothing seems to overcome the temperamental nature of these machines. Oh, you know what I mean — the blue screen of death (BSOD) Windows users have come to fear, the random power outages that come just as you’re about to save something but haven’t quite yet, or data that seems to go missing or become inaccessible like it’s playing a game of hide-and-go-seek right before your important meeting. But it’s not a “game.” It’s war. And fortunately it’s a war you can win. Here are some tips to give you the edge, no matter what stunt your computer (or anything affecting it) pulls. This is the single most important factor in ultimately winning a war with your computer. No matter what happens, you’re always prepared to “turn back the clock” and restore things to their pre-problematic state. What should you backup? All of your files, programs, email, address books, browser settings (including bookmarks), and anything else you might miss if they were suddenly gone — all of it needs to be backed up. Keep installation discs with your hard backups (DVD-Rs, flash drives, external hard drives, or whatever you choose to use). While it might be a worst case scenario, this at least means you’re able to reinstall everything on your system if you need to wipe the drive completely for some reason. An online backup could come in handy if you need to restore things while away on a business trip. 2. Keep your antivirus, antispyware, and similar programs up to date. One of the few things worse than getting a virus, malware, or other malicious material on your hard drive is finding out the software you thought was protecting you can’t do its job. Keep virus definitions up to date. You might want to enable the software to run automatic updates so you don’t even have to think about it. You’ll just always be protected. 3. Run full system scans often. 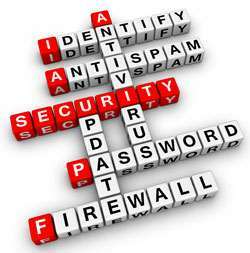 Having up to date antivirus and similar software won’t fully help you. Yes, the software might catch malicious files coming in through email or from a website, but you never know what’s already on your hard drive. Let it run a full scan overnight while you sleep, or at least run a full scan weekly to catch any lingering little devils before they cause you serious problems. 4. Get familiar with support websites (and Google). 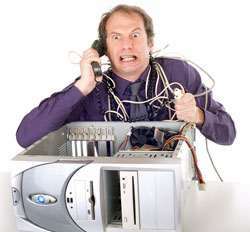 Many computer issues can be fixed fairly quickly. You’ll find the solutions in help manuals for your software or devices (often available online even if you lose the hard copies), or you can find solutions on tech forums and blogs where others with the same problem have already sought out assistance. Learn how to find this kind of information. Better yet, bookmark a few favorite support tools — such as your computer manufacturer’s support area or driver downloads area. 5. Keep support numbers on-hand. Sometimes we get spoiled by the Web — we can access online technical support for many things, or at least quickly look up support numbers. What happens if your connection craps out on you or the entire system fails though? One option is to have a second system available. If you do have another computer and / or another Internet connection available (or a Web-enabled mobile device) that’s great. If not, it never hurts to have a hard copy. Jot down main support numbers in an address book for example, or even on a sticky note kept near your computer or desk. 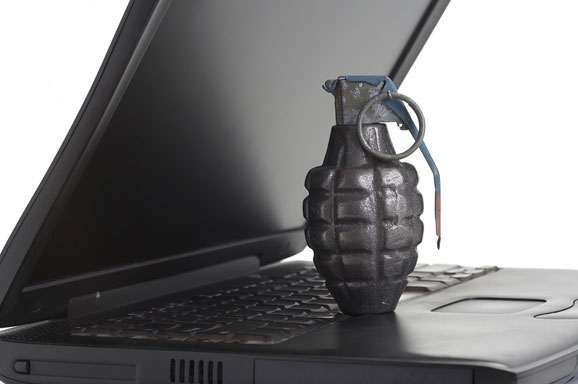 When it comes to winning a war with your computer, the best defense is to be prepared. 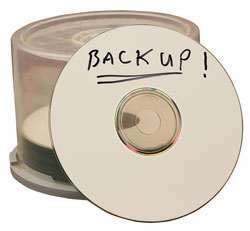 Have those backups ready, be willing and able to reinstall things if necessary, and know where to go for help if you feel like you’re fighting a losing battle. What are your favorite strategies for dealing with computer problems and preparing for the worst? Browse Directory Journal’s Computer Categories.